Visual Lure recently completed a new logo and custom WordPress website for Todd Anguish Photography. Todd is a talented wedding, high school senior portrait and family photographer based out of Cleveland, Ohio. We had the pleasure of meeting Todd at Shutterfest this year, where I spoke about logos & branding and websites & search engine optimization (SEO). At the time, we had just started working on Todd’s new logo. The new website was developed in WordPress and features a custom designed theme, masonry style portfolios and a responsive design. The responsive design makes the website render beautifully on all devices and is crucial for an overall great user experience. We also provided SEO services which helped the site rank very well right out of the gates. 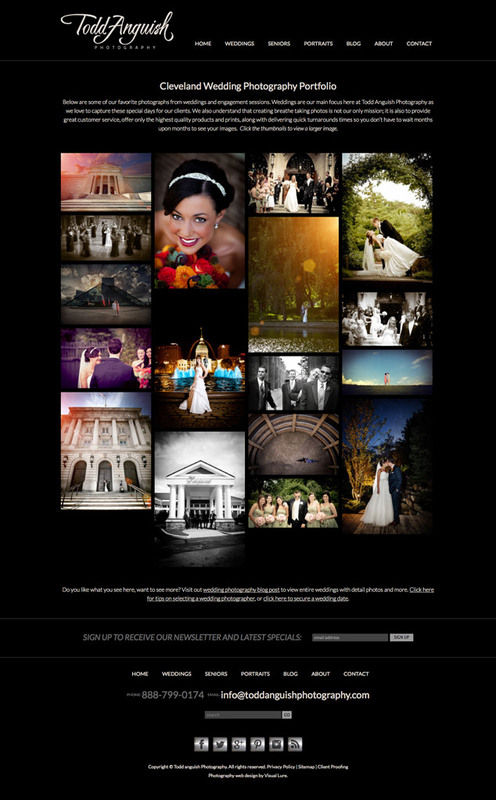 We are still working on it, but be on the lookout for www.toddanguishphotography.com on the first page of Google soon. 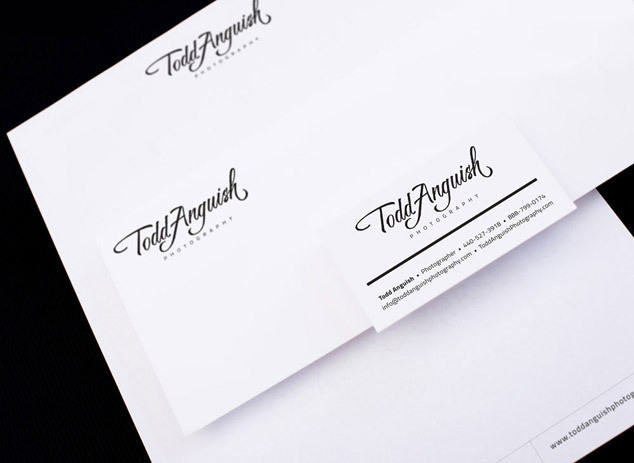 Below you can see Todd’s new logo on his business card and letterhead design, and below that are two screenshots of his new home page and wedding portfolio.